The only site with a Physical Therapist and a Registered Nurse on staff. Order from www.EasyMedicalStore.com. We make it easy for you. The Easy Medical Store concept was developed by experienced healthcare professionals. We see first-hand how much easier getting medical supplies can be. We sell products from leading manufacturers, offering you the highest quality product. Also, we offer easy and discreet delivery, saving you time, money and effort. Our products can be delivered anywhere in the United States. We even have equipment warehoused in Alaska and Hawaii. So, make your order today. Our expert physical therapist, Kathy, is as friendly and gracious as she is accomplished and educated. This testimony from an EMS customer says it all. "Within moments of speaking to Kathy, I felt that "what-will-I-do now" feeling start to melt away. Kathy listened carefully, asked questions, honestly answered my questions and helped me devise a short term plan. This was exactly what I needed at that time. Recently married to Mike Factor, they reside in Chandler, Arizona. 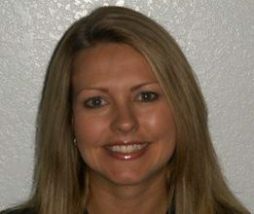 She is most passionate about working with the clients recovering from neurological or orthopedic injury. She is most driven in her professional career by the significant impact that results from every step of progress during the recovery. Kathy is known for always considering the client's safety, current needs, and transition toward independence. 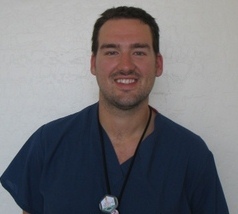 Clint is our expert Registered Nurse. Un-selfishly helping people improve their ability to function and health. His reward is seeing people achieve their highest level of independence. A patient shared her dilemma about an upcoming family vacation with Clint. You see she was a home oxygen patient, which limited how long she could be away from home. So a family vacation on a cruise ship seemed unlikely: Can't bring enough portable oxygen tanks and didn't want to lug a concentrator on the ship. She was deeply upset about missing all those precious memories. Enter Clint! He discussed numerous options with his patient and ultimately supplied her with a portable oxygen concentrator. She was overjoyed to go on that cruise with her children and grandchildren while having the oxygen, convenience and memories. Clint, a diehard Cubs fan, resides with his wife Fara in Chandler, Arizona. Outgoing, energized by people, quick with a joke, yet humble and kind with a practical outlook on life; this is a candid description of Mike, our President here at EasyMedicalStore.com. Maybe it was growing up in Louisiana, or perhaps the large family. Whatever it was, we find Mike to be an inspiring leader at EMS. Under Mike's direction, EMS is customer-focused, results oriented, and a warm family environment. Recently married to Kathy Conley Factor, they reside in Chandler,Arizona. 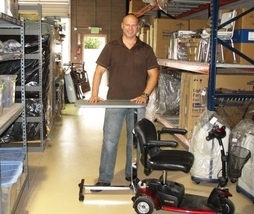 Mike's 15+ years of hands-on healthcare experience was earned on the front lines of nursing facilities, physical therapy clinics, home healthcare, home infusion pharmacies and, of course, durable medical equipment supply. Founder and owner of Diamond Medical Equipment, a Medicare certified supplier. Diamond Medical is also proud to be accredited by the Compliance Team.